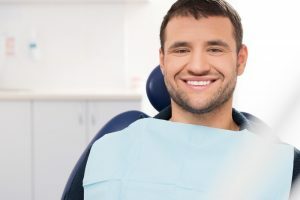 Here at BC Perio Dental Health & Implant Centre, we are dedicated to keeping you informed and want you to know what you can expect during your first visit with us. The first appointment consists of a consultation. We will review your current situation, explain your diagnosis, and cover your treatment options. Occasionally treatment can be done the same day as the consultation. However, complex treatment plans or complicated medical histories will require evaluation and a second appointment for treatment. Please let the office know if you have a medical condition that may be a concern prior to surgery (i.e. diabetes, high blood pressure, artificial heart valves or joints, rheumatic fever, or blood disorders). If you’ve had X-rays taken in the last six months, please have your dentist forward them to us. If there is not enough time to get them to us prior to your appointment, please make arrangements to pick them up and bring them with you to the appointment. If you have any questions about what to expect on your first visit, don’t hesitate to contact us at our Vancouver or Coquitlam offices. The doctors at BC Perio Dental Health and Implant Centre in Vancouver and Coquitlam are available all week to help you with your dental needs. We will make every attempt to schedule your appointment as promptly as possible. Please allow approximately 45 minutes for your initial visit. If you have pain or an emergency situation, we will do our very best to see you that day. Our hours of operation are Monday to Friday, 8:00am to 4:00pm.